Your amended tax return: what’s the status? If you have been perusing the instructions for the amended individual tax return (Form 1040X), you have probably seen something quite exciting. What, you say?! You have not looked at the instructions for Form 1040X? Here is a link to these instructions. Anyway, the excitement. Beginning way back in March 2013, you could track the status of your amended tax return using the website of our very own IRS. Here is a link to the page to get you started. You will be able to go to IRS.gov and check on the status of your amended tax return. However, in order to do this, you will need to provide your taxpayer identification number (for most this is your Social Security number), your date of birth and your zip code. This appears to be very similar to the older version of “Where’s My Refund?” which has been very useful on the IRS website for a number of years. 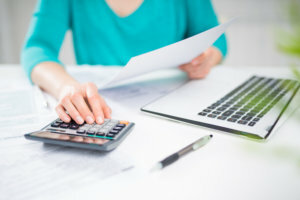 While you probably do not want to amend your tax return, this tool to track the status can ease some concerns about the receipt of the amended return by the IRS.